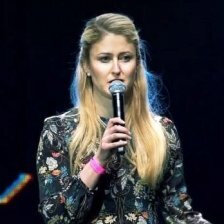 Kate Mitselmakher is the CEO, Founder & General Partner of Bloccelerate VC, a blockchain fund and an accelerator looking to invest in 50-100 blockchain companies over the next 5 years. Bloccelerate is a team of serial investors, entrepreneurs, and executives from Fortune 500 companies passionate about supporting entrepreneurs in blockchain space. Prior to starting Bloccelerate, Kate has not only been one of the early investors in blockchain technologies since 2013, but also a passionate blockchain advocate for social impact and enterprise applications across global governments and Fortune 500 companies. During her tenure with world’s largest technology research firm, Gartner, Kate as supported top CIOs of global enterprises across the full spectrum of technology strategy & implementation. In the past three years, as a part of Gartner Invest group, Kate has advised numerous venture-based companies and accelerators, such as Alchemist Accelerator. She also worked alongside some of the top investors in Silicon Valley, thereby creating a strong network of top entrepreneurs, VCs, and technology buyers. During her free time, Kate also runs Seattle-based blockchain meet-up and completes her master’s thesis on Blockchain from Harvard University.